Iyer spoke with NPR's Scott Simon about his approach to jazz and the histories it carries. Hear the conversation at the audio link, or read on for an edited transcript. 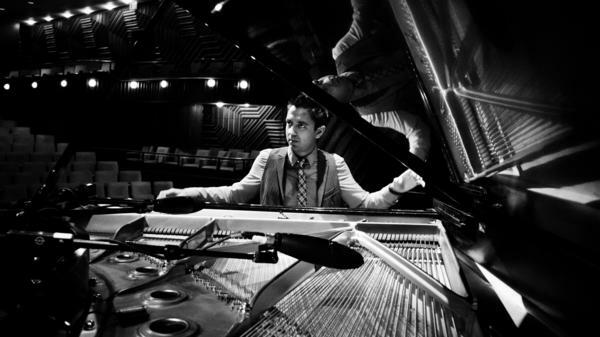 Vijay Iyer: Well, I moved to New York about 19 years ago, and some of them I met not long after that. It's really come into its own; it has its own identity and its own way of working together — you know, that builds a certain kind of trust, a certain bond that I think is expressed in the music. And it sort of supports it, so that we're able to sometimes go out on a limb and do something a little bit wild. Going out on a limb: Isn't that what jazz is all about? I don't know; I think that word gets used and overused and misused and kind of caricatured. I think of it as the history of a people, and the history of ideas, a history of defiance, a history of unity, a history of joy and transcendence — and also a history of responding to conditions of oppression and terror. So I always think about my relationship to that history as a South Asian-American, and I try to honor that history while still being myself. I want to ask you about a track on the album, "Good On The Ground." Is it OK if I hear some south Indian folk rhythms in there? [Laughs]. It's OK; that's perfectly OK. I mean, my parents are from India and the rhythmic and melodic ideas from Carnatic music and from Indian folk music had an influence on me. It has sort of been in the background my whole life, and then when I was in my 20s I started trying to put it more in the foreground. And I guess with this band, I wanted to kind of work with different dance rhythms and dance impulses and so that was one that you kind of associate with the courtyard of a temple in south India or something like that — it's a very simple rhythm that excites and electrifies. Well, I actually grew up listening mostly to the radio: pop music, and rock and soul music from the 1970s and '80s when I grew up. Well, I sort of regard that word as a pretty open one, in the sense that if you look at the history of the music, it's been a category that keeps shifting. I think the main idea is that you tell your story, you know? And I've studied Duke Ellington's music, Thelonious Monk's music, Bud Powell — but I also know that the reason we're on this planet as individuals is to express and reflect the moment we're in. Well, I think that there's a history of defiance in it. You know, when I talk to my students about it, I kind of frame it as a history of community organizing. Because it was about people coming together in pretty dire circumstances, and — sort of against all odds — creating beauty and changing the world. [Laughs.] You know? That's really what it was. So, when understood in that way, there's a lot to learn about what we must do today. This is the music of Vijay Iyer. He's an acclaimed jazz pianist, MacArthur winner and professor of music at Harvard. This new album, recorded with a six-person band, is called "Far From Over." Vijay Iyer joins us now from Banff, Alberta. Thanks so much for being with us. 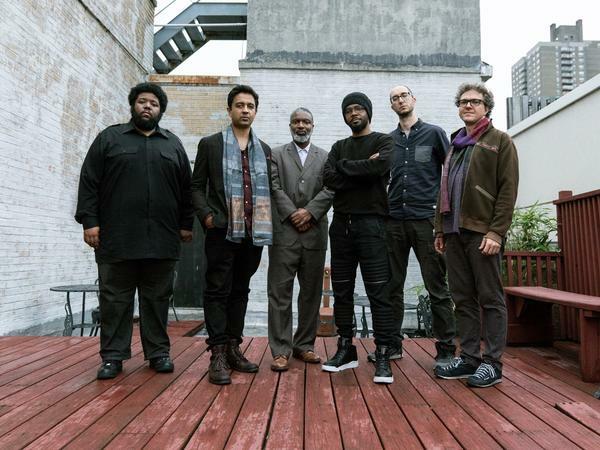 VIJAY IYER: Sure. Thanks for having me. SIMON: How did this group of musicians begin to come into your life, and how did you begin to play together? IYER: Well, I moved to New York about 19 years ago. And some of them I met not long after that. It's really come into its own. It has its own identity and its own way of working together, you know, that builds a certain kind of trust, a certain bond that I think is expressed in the music. And it sort of supports it so that we're able to sometimes go out on a limb (laughter) and do something a little bit wild. SIMON: Going out on a limb - isn't that what jazz is all about? IYER: I don't know. I mean, I think that word gets used and overused and misused and kind of caricatured. I think of it as the history of a people, you know, and the history of ideas, a history of defiance, a history of unity, a history of joy and transcendence and also a history of responding to conditions of oppression and terror. So I always think about my relationship to that history as a South Asian-American. And I try to honor that history while still being myself. SIMON: Well, let's listen to another track, if we can. And this one is "Good On The Ground." SIMON: Is it OK if I hear some South Indian folk rhythms in there? IYER: (Laughter) It's OK. That's perfectly OK. I mean, my parents are from India. And the rhythmic and melodic ideas from Carnatic music and from Indian folk music had an influence on me. It's sort of been in the background my whole life. And then when I was in my 20s, I started trying to put it more in the foreground. And I guess with this band, I wanted to kind of work with different dance rhythms and dance impulses. And so that was one that you kind of associate with the courtyard of a temple in South India or something like that. It's a very simple rhythm that excites and electrifies. SIMON: What kind of music did you grow up listening to and enjoying in your family? IYER: Well, I actually grew up listening mostly to the radio - pop music and rock and soul music from the '70s and '80s when I grew up. SIMON: But jazz is where you felt the greatest connection, I guess. IYER: Well, I sort of regard that word as a pretty open one in the sense that if you look at the history of the music, it's been a category that keeps shifting. IYER: I think the main idea is that you tell your story, you know? And I've studied Duke Ellington's music, Thelonious Monk's music, Bud Powell. But I also know that the reason we're on this planet (laughter) as individuals is to express and reflect the moment we're in. SIMON: I wonder if you think it has something particularly to say to these times. IYER: Well I think that there's a history of defiance in it. You know, when I talk to my students about it, I kind of frame it as a history of community organizing because it was about people coming together in pretty dire circumstances and sort of against all odds, creating beauty and changing the world (laughter). You know, that's really what it was. IYER: So when understood in that way, there's a lot to learn about what we must do today. SIMON: Vijay Iyer - his album is "Far From Over" - that's the title. Thanks so much for being with us. (SOUNDBITE OF VIJAY IYER SEXTET'S "FOR AMIRI BARAKA") Transcript provided by NPR, Copyright NPR.